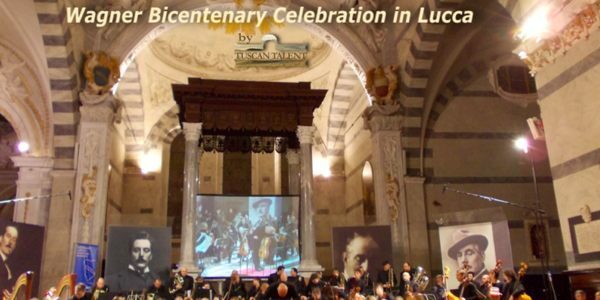 The 200th anniversary of the birth of Richard Wagner was celebrated in style on Tuesday evening at the beautiful Chiesa dei Servi, in a Gala concert organized as part of the festival, Puccini e la sua Lucca. The performance was an all - Italian affair, given by the Lucca Philharmonic Orchestra under the baton of its charismatic director, Andrea Colombini, with soloists, Francesca Patane (soprano) and Nicola Simone Mugnaini (tenor), but the music was most definitely German. Wagner and his Italian contemporary Verdi were both born in the same year, 1813 and were the two outstanding composers of Romantic opera in the 19th century. Both were innovators, but whilst Verdi’s innovations remained largely with him, Wagner’s music dramas had a profound effect and influence on all the Arts in the 20th century. 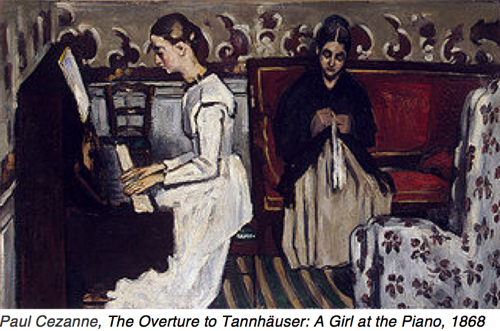 Great artists like Cezanne found him an inspiration, and Van Gogh wrote of the significant historical importance of Wagner’s operas, particularly in terms of harmony and colour. 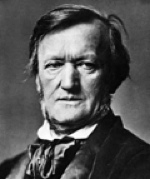 The Mastersingers is the only opera for which Wagner wrote an original story and it was an immediate success, although later tainted with its association with Hitler and anti-Semitism. Wagner was an intellectual, and his vision was that as in Greek theatre, all the elements of music theatre should come together as one, calling this ideal Gesamtkunstwerk (complete work of art); thus, being a great poet as well as a musician, he wrote the libretti, the music, was actively involved with the set design and gave performers clear instructions as to the staging of his works, often conducting them himself. He used extensively the concept of leitmotif, a short phrase/motif symbolising each character, inanimate object, situation or supernatural force in order to unite the various disparate elements of his music dramas. A study of Schopenhauer’s philosophical ideas led him to use these motifs as a sort of complex code, sending them more freely and often with intense irony to the audience, and allowing them to weave contrapuntally in the orchestral parts against the vocalist’s Sprechgesang (sung speech). One of his most famous leitmotifs is that used in the Ride of the Valkyries from Die Walkure, and in fact the orchestra’s final piece was a fine performance of the concert version of this very work. No Wagner concert would be complete without a reference to perhaps his most important work, and one that forever radically changed the composition of music, Tristan and Isolde. 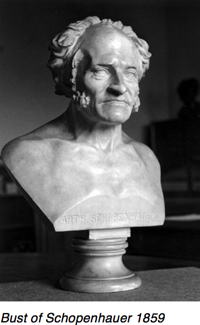 This, the greatest of all love stories was written after Wagner had immersed himself in the works of German philosopher, Arthur Schopenhauer, who in his writing about music and aesthetics had spelt out his belief that music is a unique art form, profoundly reflecting the nature of the world. The orchestra began with the Prelude, which opens the opera, and which introduces the famous Tristan Chord, seen here in the second full bar. It is a partly diminished chord on the note B, with a diminished triad built on top of a major 3rd. The subtle sensations caused by the less than partial resolution of the harmony lead to more ambiguity and more tension as the score unfolds, each unresolved chord forming a new beginning. The effect is one of unresolved anguish and longing, for this is a love-story in which the two protagonists are united only in death. No wonder then that Wagner’s influence extended way beyond music. Great writers like Proust, James Joyce, Thomas Mann and TS Elliot were all heavily influenced by him and often discussed him in their novels. 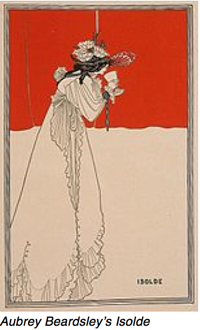 In fact, in TS Elliot’s The Waste Land quotes from Tristan and Isolde can be found, and Thomas Mann’s works are full of references to Wagner. His influence can also be traced in films, and of course modern film score composers like John Williams make heavy use of the leitmotif technique. Wagner’s farewell to tonality transformed future musical compositions and heavily influenced the atonal music of Schoenberg and the 2nd Viennese School as well as the tonal but blurred sonorities of Debussy and the French Impressionists. The list of other composers who were indebted to him in their creative endeavors is long, and includes Bruckner, Mahler and Richard Strauss, and Puccini’s use of Verismo(Realism) in his last works owes much to Wagner’s concept of operatic structure. gradually building to a thrilling and thunderous climax, with the effect of all the senses coming together as one. Wagner uses here a harmonic language that is so chromatic with its unresolved dissonances, beautiful seemingly endlessly soaring melodies with no comfortable regular cadences and therefore no clear tonal centre, that he catapulted music into the 20th and 21st centuries, and transformed the future not only of music, but of all the arts. See more info with Local writer and blogger Francis Pettit makes some interesting observations of this concert.